About — H. O. T.
Created and shared by Stephanie "AtarahYahu"
Hello & Shalum! Welcome to my online abode. To keep it as simple as can be. I am someone who like many others has needed healing for one reason or another in my life or for those around me. I believe that we all have the ability to do so through research, learning and safe application. I dedicate my work to helping other's in any form that is functional for them to heal mind, body and soul. Souljourning : Focuses on my spiritual walk, which may give more understanding as to my personal perspective on things and why I strive to work in the order of my beliefs while having appreciation and respect for All. Herbal Healing : Focuses on everything that has to do with the physical aspects of the body and how the provision of the Earth can help heal us when we work alongside of it. 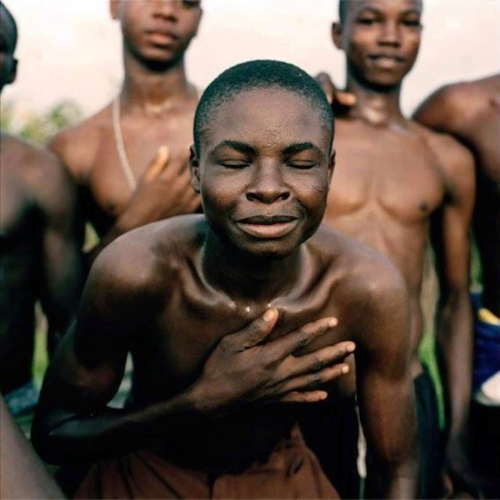 In this African tribe, The Babemba Tribe when someone does something harmful, they take the person to the center of the village where the whole tribe comes and surrounds them for two days, they will say to the man all the good things that he has done. The tribe believes that each human being comes into the world as good. Each one of us only desiring safety, love, peace and happiness. But sometimes, in the pursuit of these things, people make mistakes. The community sees those mistakes as a cry for help. They unite together to lift him, to reconnect him with his true nature, to remind him who he really is, until he fully remembers the truth of which he had been temporarily disconnected. Thanks to UpLiftConnect for sharing this uplifting story! YOUR SKILLS ARE THE QUALIFICATIONS FOR OUR THRIVE. I chose to share this story under my career page. As a reminder to self and to others I am only one person. Who truly believes it takes a village for one to live. I am welcome to help and partner with those who seek to do the same. I am willing to make reference and referrals if needed. I feature businesses and individual who may not know their featured however everyone deserves an opportunity and this is my small contribution. Have a specific trait, organization that can fall within the realms of helping woman of all cultures on their journey to birthing. I welcome you. Send me and email and we could speak of future collaborations and opportunities. If you have a Skill I'll make it known. If you have any questions pertaining to anything on the site, or questions in general you're able to contact me at any time. Please allow at least 24hr for a Response.